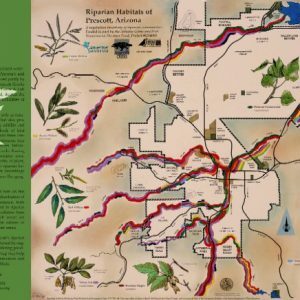 The full-color map with historic information and sponsor logos is printed on durable 100# paper stock and measures 24×36 inches. 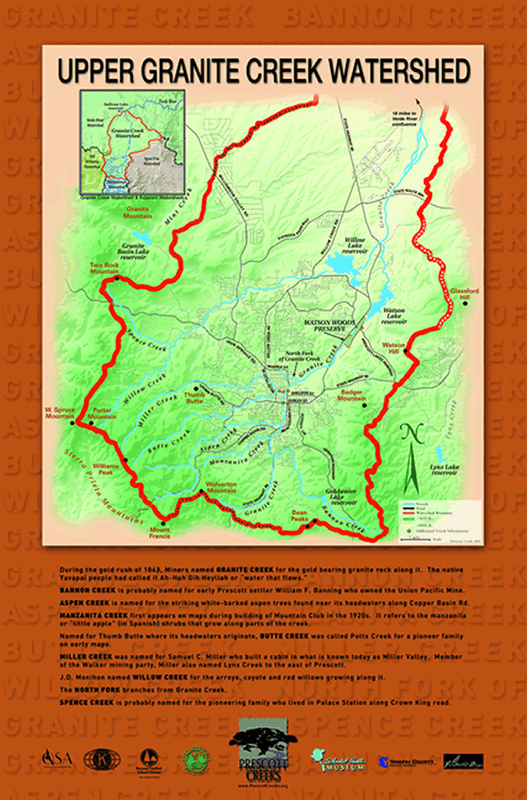 Whether you frame it, fold it, or roll it, this map is packed with information about our local creeks. SKU: Wshed_map. Category: Creek Store. 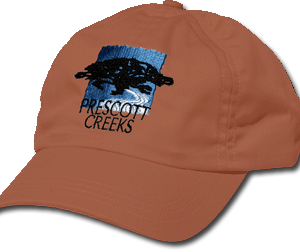 With a soft, low crown, you’ll be stylish in any weather while showing the world that you support creeks. The length of each colored area on the map represents the general distribution of Prescott’s riparian tree species. 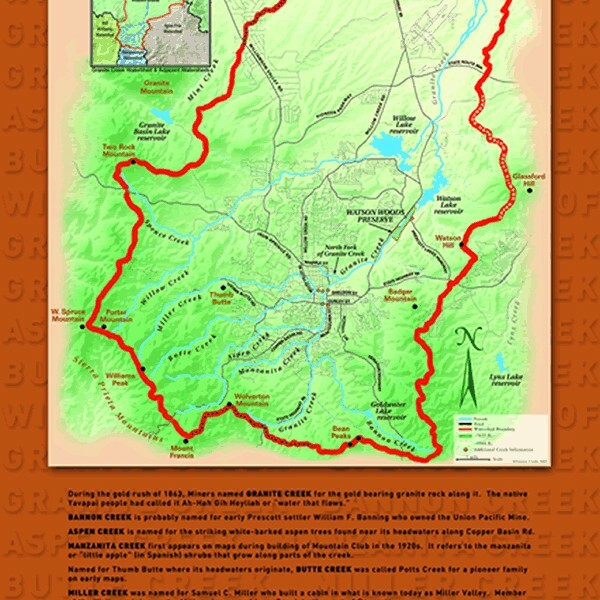 The back-side of the map features a smaller rendering of the watershed map pictured above. The map is approximately 4×8 inches folded, and 11×16 inches opened up.